While questionable if compression actually works, what does is comfort. And, the Velotoze wool blend socks naturally wicks away sweat to keep feet dry in the summer while retaining warmth in the winter. Wool is inherently antibacterial so these socks won’t get funky like socks made from other materials too. 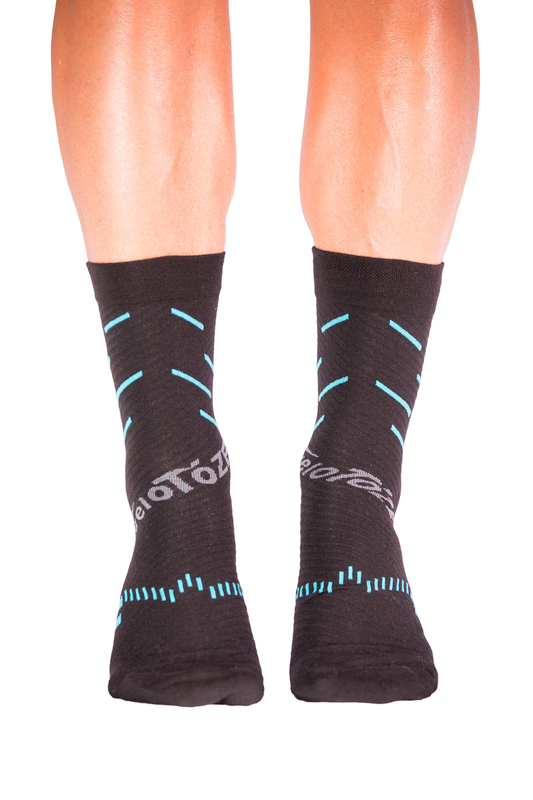 The Velotoze sock ($20.00 a pair on Amazon) sits at 15cm / 6 in tall and I’ve been wearing them this winter. They feel like gold toe socks, which is what I’m after. As popular as other sock brands are, I just can’t wear tencel (what we used to call rayon) and prefer either wool or cotton blends. Of those blends, my new also favorite socks are from Gore.